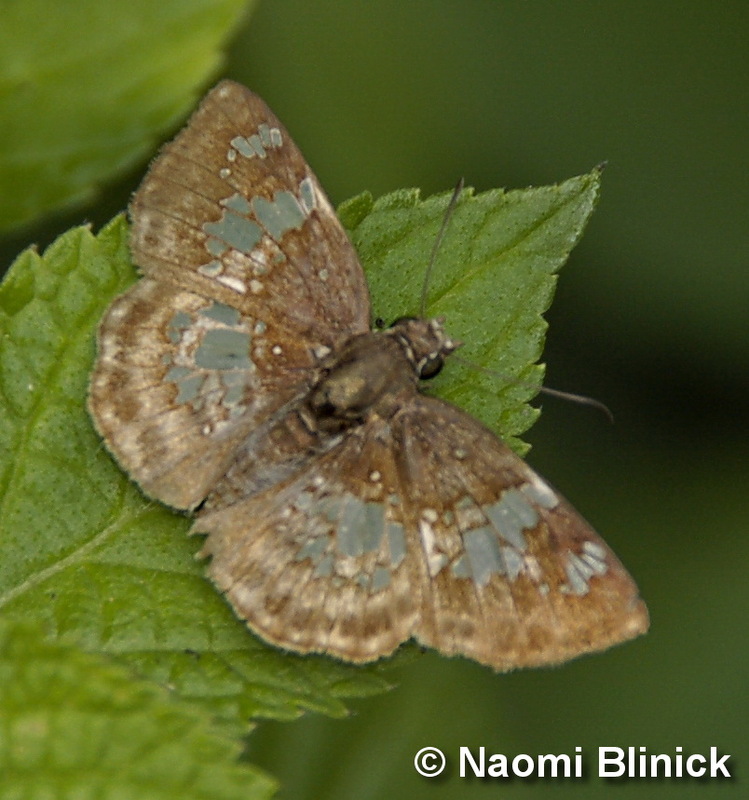 Identification: Forewing has an irregular outer margin; hindwing is slightly scalloped. Upperside is gray-black with irregular transparent patches. Wing Span: 1 1/8 - 1 5/16 inches (2.9 - 3.3 cm). Flight: Three broods from February-December in South Texas; many flights in Mexico. Caterpillar Hosts: Malvaviscus and Malachra in the mallow family (Malvaceae). Range: Argentina north through tropical America to northern Mexico. A periodic resident in the lower Rio Grande Valley, Texas, and a rare stray to southwest New Mexico. Conservation: Not necessary for periodic stray.